6oz. (175ml.) 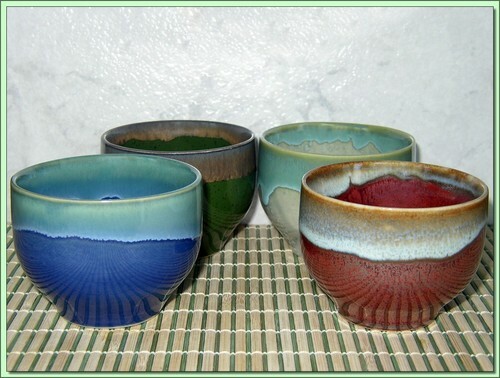 Standout 4 tea cup set of Japanese high glaze ceramic cups of various colors and patterns.